This is mostly a cut&paste job of a Too Long; Justin Read Twitter thread that I did on 30 July 2018 about the Australian Government’s Data Sharing and Release Legislation issues paper. The “setting the scene” introduction is instructive. I have highlighted some important phrases. Important phrases used when setting the scene. Note the framing of data as a resource. “within government and with trusted users” This is important, for reasons that will become more obvious shortly. There’s a rehash of the 2015 Public Data Policy Statement, and a reference to the 2016 Productivity Commission inquiry into data sharing (that I linked to earlier). The PC consulted and inquired and did a bunch of commission-y things, generating a 644 page report that none of you read (be honest). The PC also noted that “improving trust community-wide is a key objective” in the same dot-point, but that’s missing from the issues paper for some reason. This is a little surprising, given how much evidence is available in a wide variety of policy areas that isn’t acted upon and, in some cases, is deliberately ignored. But sure, more evidence is all that’s standing in our way from acting on, for example, climate change, or closing down the offshore gulags for brown people. 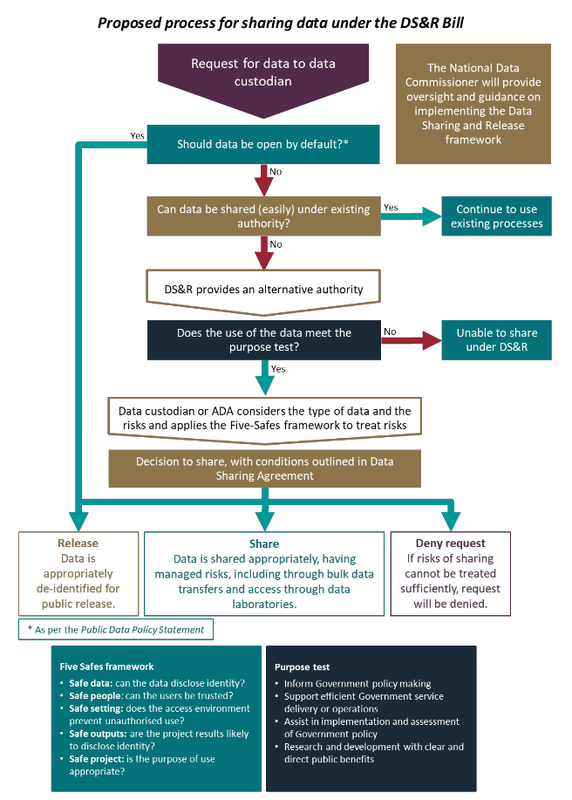 “The purpose of the DS&R Bill will be to streamline the process for sharing public sector data and improve data safeguards across the public service.” This sounds like a noble goal. This is all about a change of posture from keeping data locked up in a multitude of private data stores to one biased towards sharing “when appropriate data safeguards are in place” which is a key detail. Look at all the benefits! So many! Look upon my benefits, ye mighty, and despair! Let’s skip ahead a little and see what data is to be covered. Got that? Everything. The ATO. Centrelink. #MyHealthRecord. The ABS. *Everything* will be covered by this new Data Sharing and Release bill. “The Bill will provide authority for sharing and release of data where currently prohibited” This is the point you need to start getting very concerned. They’re proposing to just override the restrictions from everywhere else. The#MyHealthRecord Act. The Census and Statistics Act. The Archives Act. This is broad, sweeping stuff. “The DS&R Bill will carefully consider existing secrecy provisions to balance the need to protect certain types of government data,” Note the switch to ‘government data’ from ‘public data’. “Commonwealth entities will continue to be required to uphold the highest standards of privacy and security for the data they hold.” Hangon, what? It’s supposed to operate “alongside” existing requirements, but will also provide an alternate pathway to access data. So it’s a kind of back door, if you like. 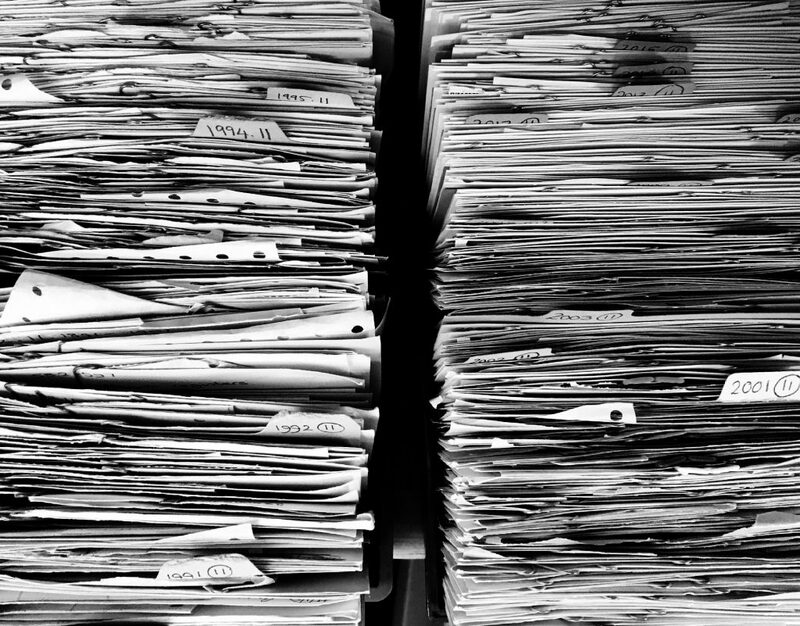 So no, we’re not going to look at all of the “more than 500 existing data secrecy and confidentiality provisions across more than 175 different pieces of Australian Government legislation” and clean it all up. Instead, we’re going to add a new bit of legislation that can bypass all the other ones ” when appropriate conditions and safeguards are met”. Let’s jump back to where we were before we looked at the scope. Particular purposes for which data can be shared. Now for some more cognitive dissonance. This paper claims that “Much of the Australian Government’s data is not personal or sensitive” which makes you wonder why you’d concentrate on stuff that’s currently prohibited from release. It also makes much of the “Five Safes” framework, which is for assessing how sensitive or private data can be safely shared. Five Safes was developed for figuring out how to deal with quite sensitive unit level data, not a bunch of “not personal or sensitive” data, so you start to get an idea of what this Bill is all about. This isn’t about providing greater access to unobjectionable data about government activities, like how much it spends on TV ads each quarter. No. This is about government joining together all the data it has on you. Sensitive, personal data. It’s about providing access to this data to other government departments, and favoured researchers or private organisations, as decreed administratively by the National Data Commissioner. Not through legislation and public debate. If the NDC decides that, say, letting Centrelink see your MHR data and linking it to the Census and ATO data is nationally important, and they’ve got some safeguards in place, sure, bypass whatever the Census and Statistics Act says. Take a peek! That might actually be sortof okay in some circumstances if we had a loooong history of trustworthiness and competence from government agencies dealing with private and sensitive data. And a good idea that it’s not likely to change. But we don’t. The Census and Statistics Act has specific sections on secrecy for *very good and important reasons* and this government is trying to override them. Now I would have a lot fewer issues with this proposal if it was advocating sharing of less sensitive data first, and leaving in place the safeguards over data about individuals, sensitive data, etc. But that would mean sharing data about government operations, not individuals. The kind of stuff that we should be able to get now under FOI but which is regularly stymied. Things like, say, monthly statistics of Centrelink call waiting times. Hell, live updates so we could know not to call for an hour, because it’s usually quieter at 2pm. Or daily stats on how many people have opt-ed out of #MyHealthRecord. Or real-time data on political donations. You know, stuff that would “build trust in use of public data” and allow government to practice on safe data before they start trying to share our Census data with Centrelink. The data sharing backdoor in Handy Diagram™ form. So do please make a comment or submission about this Data Sharing and Release proposal, by the end of 1 Aug 2018. Here I shall end another edition of #tljr. Thank you for bothering to read any of it.